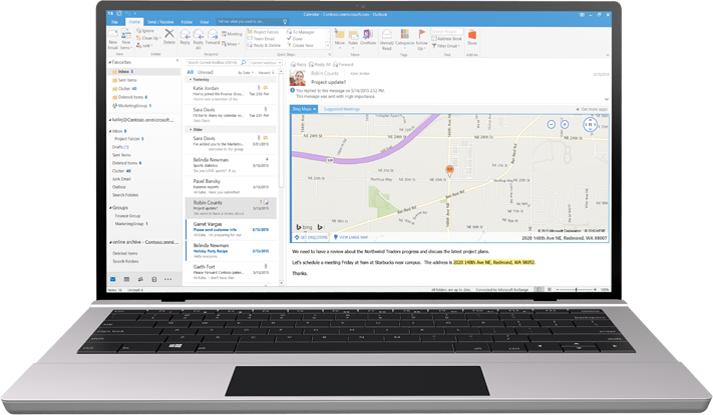 ​Office 2016 reduces the friction in co-creation, making it easier to share documents, work together, and use coauthoring, IM, voice and video to get things done. Access your documents and work whenever and wherever—with full fidelity viewing and editing—from your PC or Mac to your Windows, Apple®, and Android™ phones and tablets. Work together like never before in Word, PowerPoint, and OneNote. 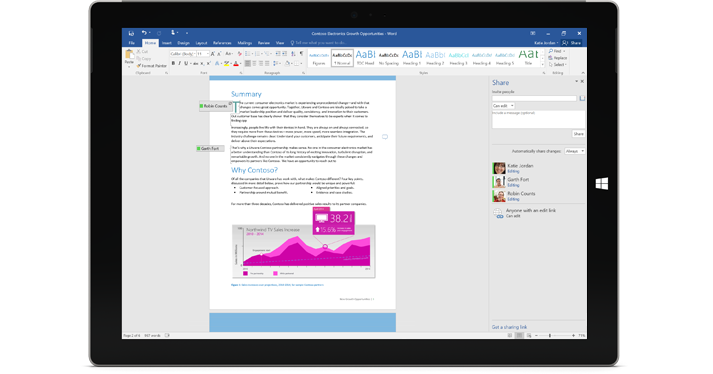 Real-time typing in Word lets you see others’ edits as they happen. Work like you’re all in one room, even when you’re not. Use Skype for Business for HD video conferencing, coauthoring, desktop sharing, presentations, and IM to run your meetings from anywhere. Attach documents stored in OneDrive for Business or SharePoint to an email and Outlook will automatically configure permissions for mail recipients and store the latest version in one place. Data loss protection, multi-factor authentication, and rights management gives admins centralized control over key security, privacy, and compliance capabilities. IT now has more control over how and when updates are distributed, with enhanced distribution and network traffic management. ​Enhanced connectivity, better network performance, and faster email download equal happier users and fewer help desk calls.